The main letting bedrooms are on the top floor and have views of the Eden Valley with the mountains of the Lake District visible in the distance. A further bedroom, also on the top floor, has views of the Pennines including Cross Fell - the highest point in the range. 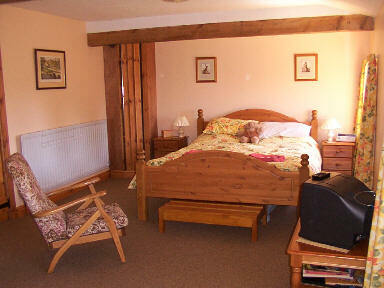 We have 3 letting bedrooms allowing us to accommodate up to 6 people. 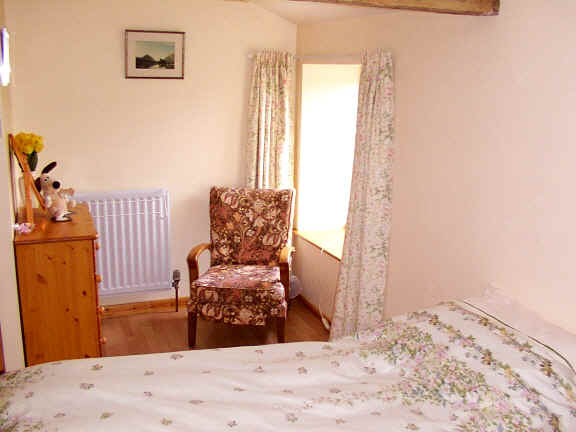 The two main bedrooms have a colour television and are spacious enough to relax in the comfort of your armchair. Tea-making facilities are provided in all rooms. 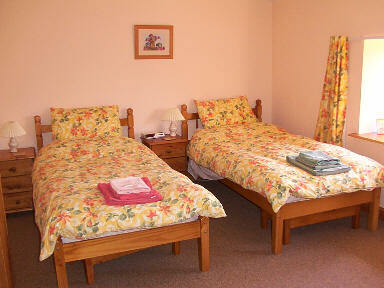 Room 1 is the larger room and has an en-suite shower, wash basin and toilet. 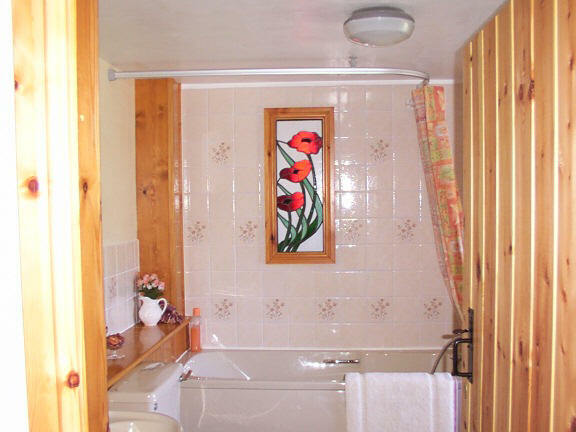 Room 3 can be set up as a double, twin or single and is usually only let in conjunction with Room 2 - to families/ parties who are happy to share the bathroom. The poppies image on the wall of the bathroom is actually a stained glass window. Mike runs a business making stained glass objects using a workshop on the ground floor level.